So I had a particularly stressful day at work yesterday and decided to treat myself to a visit to the library (as you do) and also pay off some fines (I like to keep a clean slate). As I already have a huge stack of books waiting to be read, I thought I’d just browse to clear my head, but no, I ended up spotting two new books I just had to grab. 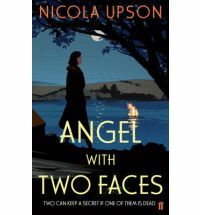 The Angel With Two Faces by Nicola Upson – I enjoyed Upson’s first book, An Expert In Murder, featuring the crime writer Josephine Tey as a sleuth. 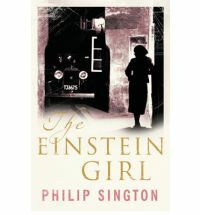 The Einstein Girl by Philip Sington – I have a weakness for books featuring the name Einstein. Can’t seem to shake it off. This looks like a mystery and love story set in the early 20th century delving into secrets about Einstein, relativity and murder. Both books would be perfect for Nymeth’s The 1930s Mini-Challenge. I’m trying to finish two books at the moment: To Live and To Write: Selections by Japanese Women Writers 1913-1938 edited by Yukiko Tanaka which is inspiring and Scarlett Thomas’ new book Our Tragic Universe. I had forgotten how much I like Thomas’ writing. And so far, her new book is as good as the amazing The End of Mr. Y, lots about writing, books and strange goings-on, and she’s not afraid of talking about science. I seem to be the only book blogger who hasn’t received David Mitchell’s The Thousand Autumns of Jacob de Zoet. But I’m not crying, because I’m going to go and see him talk at Foyles, Charing Cross Road on Wednesday May 5th at 6:30pm! Yay! He’s also signing at Waterstone’s, Gower Street on May 7th at 1pm. I just hope the volcanic ash doesn’t prevent him from coming down to London. ::grin:: I’m certain it helped immensely! Absolutely! 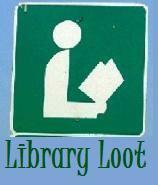 It’s amazing how being surrounded by books can calm a frazzled brain. I’m also a sucker for “Einstein” … also “Darwin”. I will be interested in what you think of that book! I often think I’m only going for a quiet browse but never leave empty handed. Oo, I’d heard of that series featuring Josephine Tey, but I’d forgotten what it was called. Looking forward to your review! Kristen M: I keep meaning to read more fiction with science in it (more historical than sf) but I haven’t managed it yet. I find it fascinating to look into the lives of scientists, the human interior vs. rational exterior. Nymeth: I really enjoyed Nicola Upson’s first book. And of course I love Josephine Tey. They tend to feel darker than Allingham, Christie and Sayers and Upson brings that out in her novel. Sounds like some tempting books. Have a great day! Have you read The Invention of Everything Else by Samantha Hunt? That’s a good one about the end of Nikola Tesla’s life. The side plot is a bit weird but okay. Sherrie: Thanks for stopping by! They are very, very tempting aren’t they? Bina: I hope you enjoy it too! Kristen M: I haven’t, and I’ve put it on my wishlist. The book sounds intriguing and he seems like a very tragic figure. The Classics Circuit Golden Age tour sounds really great. I’m gutted I can’t do it this year, but I have too many books that need to be read. I’m looking forward to reading the posts. I don’t think I’ve seen that many reviews of An Expert in Murder and most of the people who like it tend to be mystery lovers (like myself). Let’s see how the next one is! I’m from the 1930’s blog challenge too, and although my work is American, so I have no expertise here, my thought here is: I wonder if there are major dividing lines between the writing of Japanese women before World War II, and those writing after. These books sound so interesting! Shelley: I have to confess I haven’t read that much women’s writing, so it’s still a new thing for me. But I’m finding that pre-WWII, most of the lives of women who were rebelling and searching for meaning in their lives were inextricably linked to Communism and the Communist Party (which appeared to be equal at first). I also think it was a sign of modernity to be a Communist and reject what was considered a still-feudal society. I haven’t read enough post-WWII Japanese literature, but I’m curious to see how it changes for women. Offtopic: have you read Gail Carriger’s werewolf/vampire/steampunk stuff? I grabbed Soulless yesterday – it’s got that touch of archness and ingenue-yet-horny-virgin thing going, which is sometimes funny. Slightly offbeat take on the science of supernatural humans, I thought. I haven’t, although I’ve seen it mentioned in various blogs with mixed reviews. But it looks interesting to me, and is already on my wishlist. The name Parasol Protectorate just cracks me up! Will you write a review?